The CHiLO Book series, Professor OBA’s “This is IT! 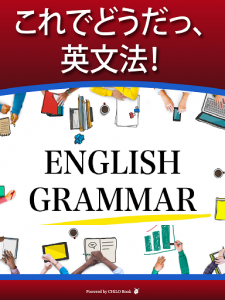 The English Grammar for Japanese Learners” has been newly released and added to our library. CHiLO Books are compatible with mobile devices such as smartphones and tablets. Highly recommended as resources for active learning. Learning the minimal amount of daily English expressions, you can grasp how the system of English language works. This e-learning material will sure make your English sharp and smart. You can download this e-book through OBA’s official website as well as CHiLO Library. You might please contact KEP ( toshio@kepnet.co.jp ) (http://dropinat.net/img/index_img/korede_main.pdf) if you are a teacher and want a more sophisticated Moodle version (PAY) in which you can keep the learning histories and make your own quizzes for your students. Please have fun!